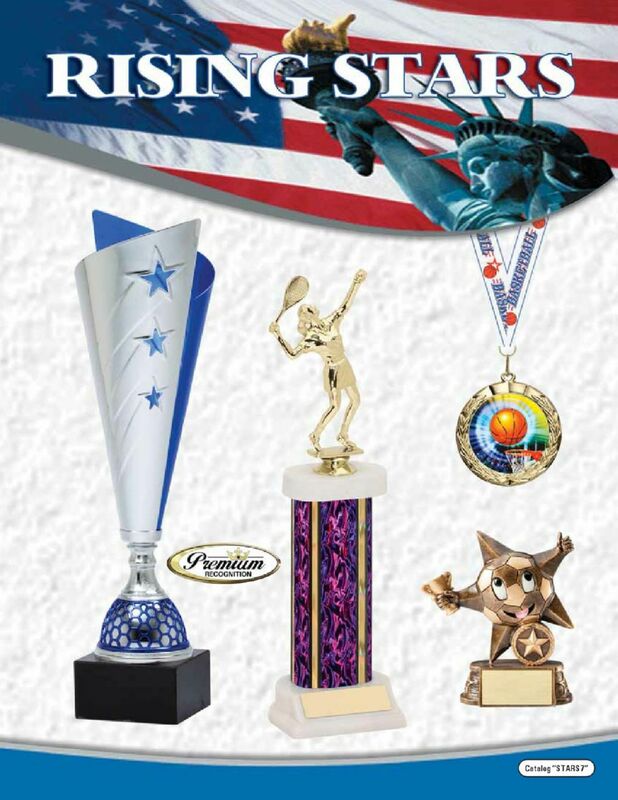 The Trophy and Awards industry has come along way since Eagle started back in 1990. 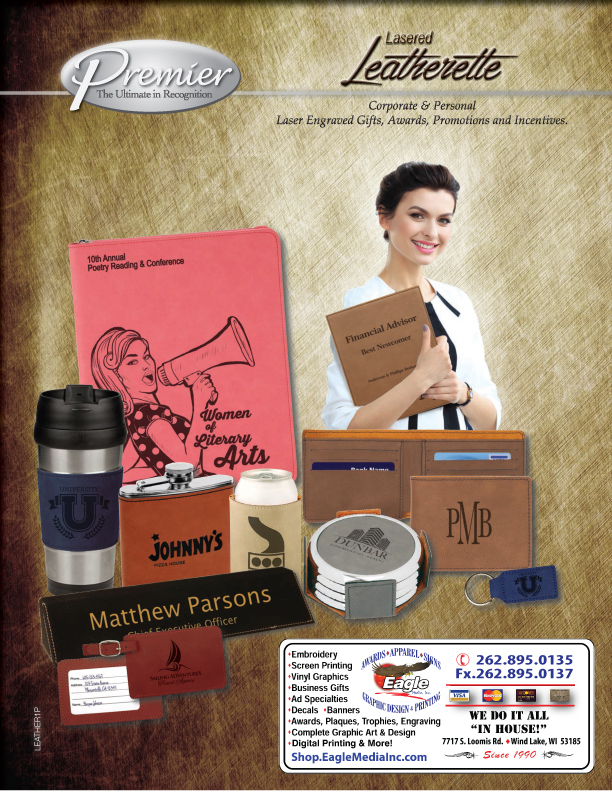 As with so many areas of our lives, the fierce competition between manufactures has yielded an explosion of product offerings. 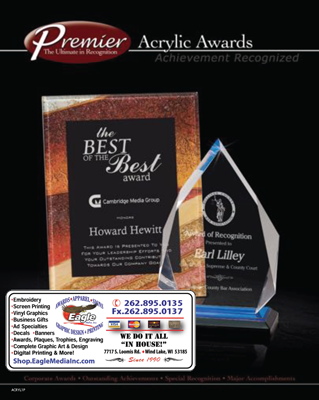 These offerings range from your traditional "Base, Column & Figure" style trophies to phenomenal Acrylic, Crystal & Stainless Steel pieces of art. 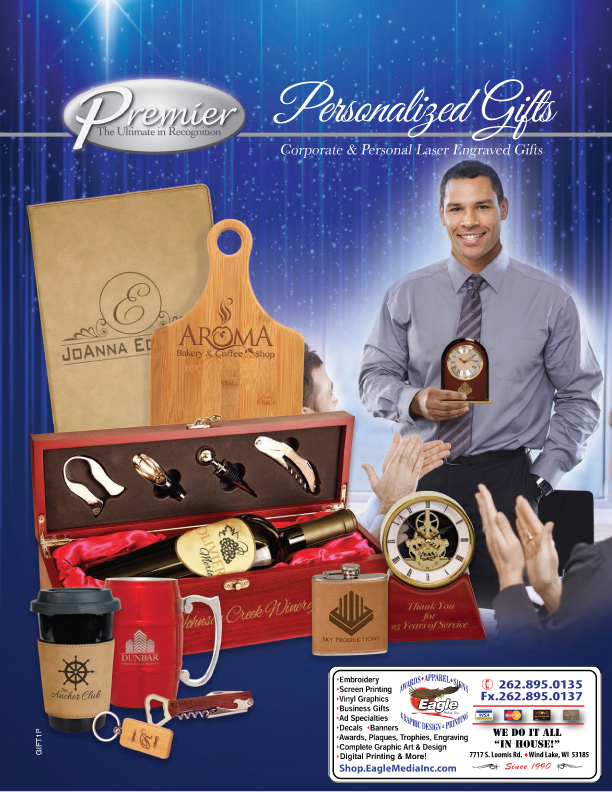 For the great items in any of the above catalogs, prices are shown in most cases. To Order, please Email us your artwork, style numbers and winners information. We will email you back promptly with your requested information and/or quote for your approval.